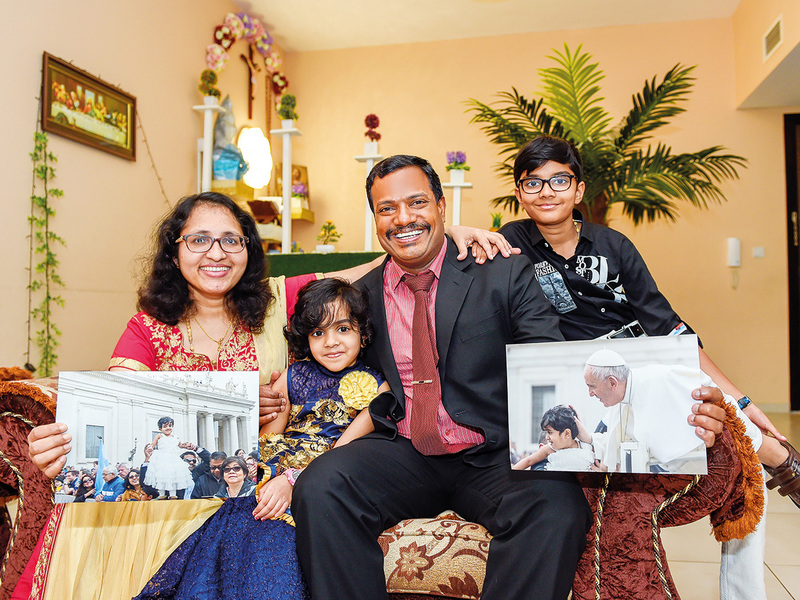 Dubai: Bjiu Kunnel Baby, a Dubai-based Indian Catholic, says he is truly blessed. 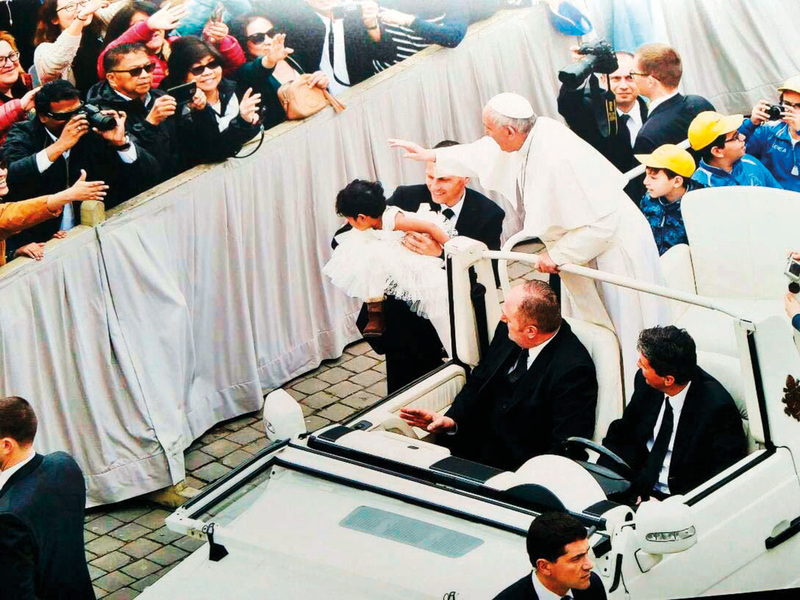 In March 2017, his family had planned a special trip to Rome just to listen to their beloved “Papa” at the Vatican. 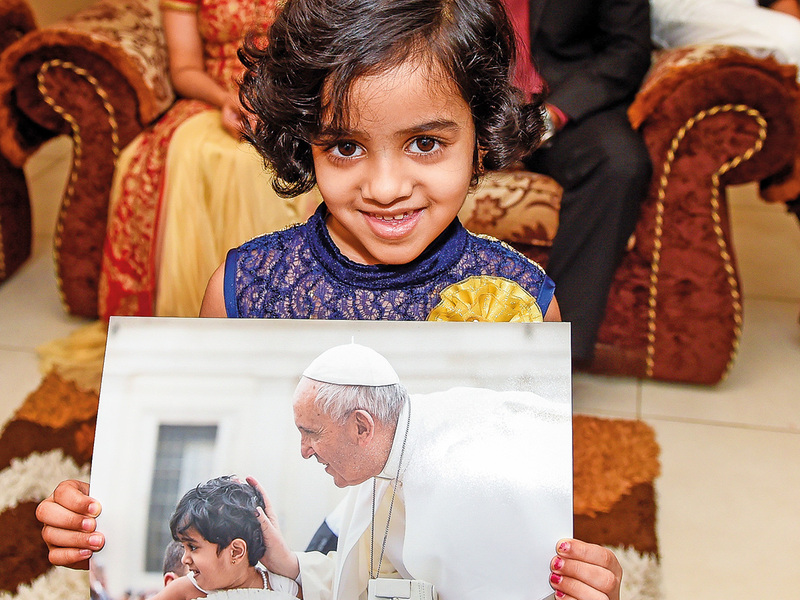 Having obtained passes to the Papal Audience, a weekly gathering of believers at St Peter’s Square, Baby along with his wife Rosy Mathew, nine-year-old son Chris and daughter Catherine, 4, were at the venue by 4am on March 22, four hours before the gates opened for the 10am audience. There were hundreds of others already there by then. But somehow, the Baby family managed to snake their way to the front row, in the hope that they could get a better glimpse of Pope Francis when his convoy would drive past them. Taking their positions just behind the barricades, Baby and his family considered themselves lucky and were thankful as they eagerly waited for the Pope’s arrival. “But what lay in store was something we could never have imagined even in the wildest of dreams,” recalled Baby. Catherine, 6, is a KG 2 student of GEMS Our Own English High School is Al Warqa’a, Dubai. 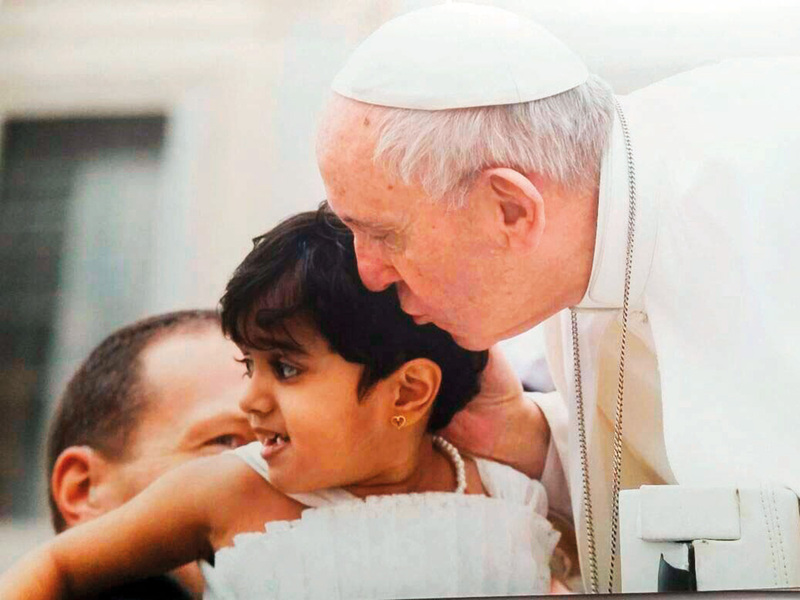 When the Pope blessed her, she was just four and had no idea about the significance of what transpired. Today, two years on, she has some inkling. “I feel blessed,” she said.